So I know I’m a little late with this post but I have been away for the past two weeks and was enjoying my time in New York! Therefore I just didn’t have the time to post it up. 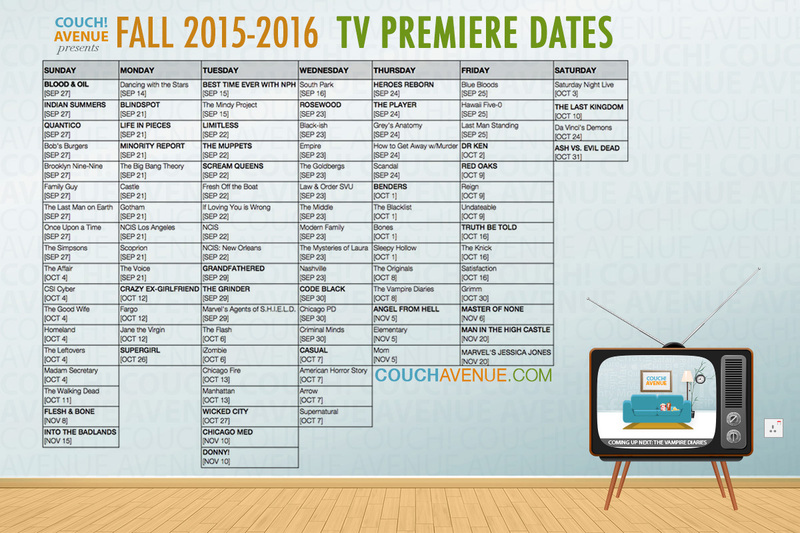 I know many of you are looking forward to this post and especially to find out when your Fall TV Shows are coming back so without further ado, here is the list. Some shows have started premiering starting last week and therefore we can now look forward to more showing up this upcoming week! I personally can’t wait for them all! This time I’ve got only one image which includes the information you need, will be updating this blog with other information and perhaps doing mini-reviews of some new shows. Stay tuned!